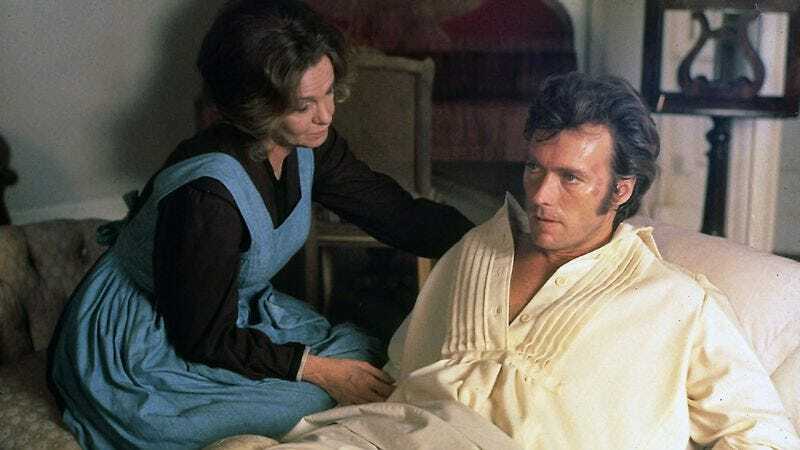 Considering that their collaboration produced Dirty Harry, Two Mules For Sister Sara, and Escape From Alcatraz, the 1971 drama The Beguiled might be considered something of a “deep cut” for director Don Siegel and star Clint Eastwood. But the film, a tense Civil War-era tale about an injured Northern soldier recuperating in an all-girl Louisiana boarding school and getting into ever so many romantic misunderstandings, obviously stuck in the Sofia Coppola’s craw. So much so, she’s struck a deal to direct a remake of it. According to Variety, the film’s proposed cast could include Nicole Kidman, Kristen Dunst, and Elle Fanning, the last of whom worked with Coppola previously on 2010’s Somewhere. There are no names being bandied about, as of this writing, for the crucial role of the soldier, so fans are invited to speculate wildly about that. Maybe the 85-year-old Eastwood himself can be coaxed into reprising his role, adding a touch of Lynchian surrealism to the proceedings? Without counting Netflix’s A Very Murray Christmas, a holiday special that reunited the director with her Lost In Translation star, Coppola has not helmed a feature film since 2013’s The Bling Ring. Back in 2014, she was supposed to direct a live-action version of The Little Mermaid at Universal, but then, well, didn’t. Ultimately, that doesn’t matter, though. Universal will get its mermaid movie one way or another. The Beguiled, meanwhile, seems like a much better thematic fit for Coppola anyway, with its themes of isolation, psychological torment, and gender politics. The Beguiled is a respected film, but it’s not one that plays frequently on basic cable, so it’s not like the public is sick of it. Yet.